We have been busy this summer working on a new feature for Opera Mini for Android. Now, your large downloads can be set to download only when you are on a WiFi! In the spirit of Opera Mini, this feature avoids eating up your mobile data and can help save you money. 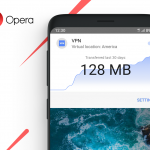 Now, Opera Mini detects if you are downloading a file that is larger than 15MB, then asks if you want to download it now or wait until you are on WiFi. Tap Wait and continue browsing. Later, when you get to your favorite coffee spot and connect to WiFi, Opera Mini will resume the download and notify you when it’s all done. It’s that simple! We’ve also implemented support for HTML5 video, giving you access to more video sites. 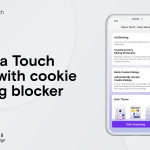 Some of you will be our first testers for the Discover feature that is already available on Opera for Windows and Mac, Opera for Android and Opera Mini for iOS. The Discover feature brings you the top news, entertainment and sports from around the globe, right in your browser. It lets you lean back and read regional content from your country in your language. If you’re one of the lucky few, when you open Opera Mini, you will see the Discover feature. Currently, we’re testing it out in these areas: India, Indonesia, Russia, Brazil, Vietnam, Turkey, US, South Africa, Ukraine, Mexico, Bangladesh and Nigeria. You can get Opera Mini for Android in the Google Play store.